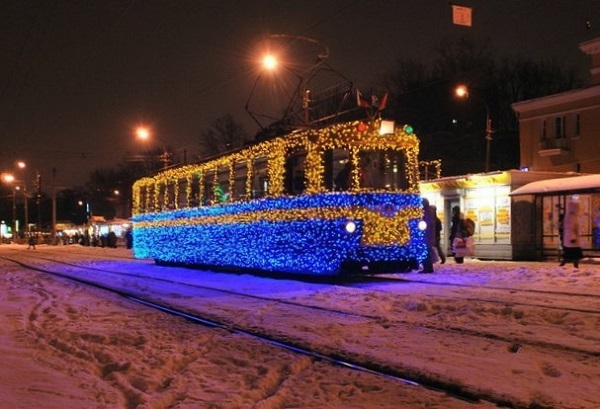 St Petersburg trams decorated in the new year holiday style start operating today December, 19. To achieve the holiday atmosphere the retro carriages of the 'Magic Cars' are illuminated. The decoration for the New Year carriages was hand made.